Owner of Kenai Kids Therapy, Inc.
Lisa and Michael both graduated from Loma Linda University with Bachelor of Sciences in Physical Therapy. They met in PT school, became engaged 6 months later and were married 6 months after that (they say “you know when you know”). Lisa and Michael have specialized in pediatric physical therapy since 1999. In 2014 Lisa earned a Doctorate in Pediatric Physical Therapy from Rocky Mountain University. Partnering with Kathy Gardner, OTR since 2002 has truly been the hand of God. We are very aware that healthy business partnerships are rare. We credit Him for this blessing. Michael has too many hobbies to name. It suffices that he is the most well rounded guy Lisa knows. Lisa’s loves to just be home. Michael and Lisa enjoy two grown sons. Owner of Occupational Rehab Services, Inc.
Kathy moved to Alaska when she was 9 years old and has enjoyed it ever since. She received her Occupational Therapy degree from University of Puget Sound in 1982 and has been working with both children and adults ever since! She is the owner of three therapy practices; Occupational Rehab Services, Alaska Kids Talk, and Alaska Aquatic Therapy. God has blessed both her businesses and her partnership with Lisa and Michael at Kenai Kids Therapy. Her greatest delight is working with children and their parents to increase their independence for the future. She married her high school sweetheart, Neldon, and has been blessed with three grown children, and four grandchildren! Kathy loves adventure, traveling, being surrounded by family , traveling and exploring the world. Laurie holds a Bachelor of Science degree from Smith College in Northampton, MA and a Bachelor of Science degree in Physical Therapy from the University of New Mexico (1993). Laurie splits her time between physical therapy at Kenai Kids Therapy, mushing her dogs and owning Gone To The Dogs, LLC (a canine rehabilitation and conditioning clinic). In her “free time”, Laurie has handled dogs for Lance Mackey and as well as another musher on the Yukon Quest International Dog Race. Laurie also enjoys fishing with her husband. Shelby graduated from Andrews University with a Doctorate in Physical Therapy. She had worked as a PT aide in Idaho before attending Physical Therapy School. Shelby grew up in Salmon, ID with her family and one younger brother. She has attended Walla Walla University and spent a year studying abroad in Argentina. In her spare time she enjoys spending time outdoors; hiking, camping, snowboarding and traveling. Jess graduated from the inaugural class of George Fox University in 2015 with her Doctorate of Physical Therapy. She specializes in sports medicine, orthopedic injuries and pediatrics. She previously worked in Oregon for adult orthopedic clinics and did assist in creating pediatric programs for those clinics. Jess grew up in Northeastern Oregon in a rural farming community. She also attended Eastern Oregon University and graduated with a B.S. in Exercise Science. She was very involved in FFA, sports and working on her family's horse ranch. Her hobbies include playing sports (volleyball, basketball), hiking, camping, spending time with family and playing with her two dogs. Mitch graduated with a degree in biology from the University of Montana, and then later attended the University of Colorado for his Doctor of Physical Therapy degree. His first job in the medical field was working in a group and day services for adults with developmental challenges as a direct care professional. Before starting at Kenai Kids Therapy he was working in Denver, CO for an outpatient orthopedic clinic treating all ages, but mainly adults and the elderly after orthopedic surgeries. Mitch grew up in a small town in Montana in a construction family and helped build commercial and residential buildings. He is an avid outdoorsman and enjoys hiking, fishing, hunting and climbing, and his favorite outdoor activity is skiing. Kari graduated from the University of Wisconsin in 1998 with a Bachelor of Science degree in Occupational Therapy. Kari has worked in many settings across Wisconsin and Alaska. Kari enjoys working with children and has a special interest in autism and sensory processing. In her free time, Kari enjoys spending time with her family. Susan received her Bachelor of Science degree in Occupational Therapy from Utica College of Syracuse University and her Masters of Education, specializing in Infant/Newborn Development from Kent State University. She has worked with all age groups in many settings but found pediatrics as her passion. She has been blessed to be working in Alaska and with children since...for a long time! She loves camping with her husband and two daughters, along with reading, crocheting, volunteering and behind the scenes in musical theater. Jacquelyn graduated from the University of Puget Sound with a Master of Science degree in Occupational Therapy. She has always wanted to work with children and loves working in pediatrics. Born and raised in Alaska, she is very excited to be back with her husband, Travis and son where they are surrounded by family and friends. In her spare time, Jacquelyn enjoys family gatherings, golf, and spending time at the river. Jackie graduated from Seton Hall University in South Orange, New Jersey with her Masters in Occupational Therapy. She has previously worked with adults and pediatric, with her primary focus in pediatrics. She has worked all around the country. Jackie is a born and raised Jersey Girl, slowly making it to all 50 states, she has officially traveled to 40 of the 50 states as of August 2018. In her spare time she enjoys reading, watching movies, hiking, camping, kayaking, mountain biking, cooking, eating, rice krispie treat making, and most importantly, sleeping! Katie graduated from the College of Saint Mary in Omaha, Nebraska with her Masters in Occupational Therapy. She has previously worked at Regional West Medical Center in Nebraska in outpatient pediatrics and acute and inpatient rehab for adults. Katie was born and raised in Nebraska and loves going back to visit her family every chance she gets. Her hobbies include reading, watching classic movies, embroidery and learning more about Alaska. Brittany graduated from California State University, Fresno with her Master's degree. 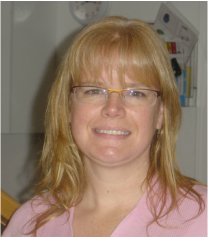 She specializes in working with children with ASD and childhood apraxia of speech (CAS). As an undergrad she worked as a behavior therapist for children with ASD for 5 years, and she also worked for 2 years at a private clinic in California working with children, adolescents and adults with a variety of neurological and speech-language disorders. Brittany enjoys kayaking, hiking and spending time with her family. Heidi graduated from SOHI in Soldotna where she lives and has raised her 3 children. Heidi graduated in 2011 with a Speech Language Pathology Assistant degree. 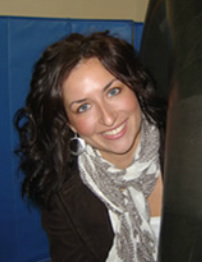 Heidi has worked for the Kenai Peninsula Borough school district and joined Kenai Kids Therapy in February of 2012. She enjoys the outdoors, kayaking, being active, friend/family gatherings, cooking and laughing with her kids. Kim has lived in Soldotna many years and still loves it. In 2012 Kim completed her Speech Language Pathology Assistant degree. She joined Kenai Kids therapy in the summer of 2012 and is very happy to be back working with children. Kim and her husband have two children keeping her on her toes. In the summer her family enjoys kayaking, fishing kayaking and camping. During the long winter months they like to ice fish and play in the snow. Rose was born in Fort Wayne, Indiana receiving an Associate degree in Mental Health at Indiana Purdue University. Rose and her husband, Rodger spent many years homeschooling their 5 children on a farm in Virginia. Rose is now the proud “Granny” of 13 grandchildren. She has lived in Alaska and worked at Kenai Kids Therapy for many years. Her most recent interest is learning to row. She also enjoys hiking, scrapbooking, quilting, gardening and tea tasting. Donna is a life-long Alaskan. Born in Anchorage she later moved to a remote village on the Kuskokwim River for 7 years before moving to Soldotna where she attended high school and later married her high school sweetheart. They have three grown children. Donna has previously worked as a receptionist and PT aide at CPH. In her free time she enjoys reading, quilting and scrapbooking. In the summer you will usually find Donna and her husband out on their boat exploring this beautiful state.